Want to go on unforgettable, time-stopping vacations that create an indelible stamp on your memory? One guaranteed way: design in, or stumble onto some form of fear and suffering. Almost always the best and most primary memories have incidents of suffering involved that in the moment were a crisis or a struggle, but with the patina of time and under the golden gloss of memory have subsequently become the highlights of those stories you tell. The human brain is wired to identify with the hero’s journey or monomyth and each hero’s journey contains elements of stress and crisis as the center of the plot. Odds are good, your best vacation stories include some sort of challenge or crisis. Part 2: Vultures in Baja. As a part of any vacation I always do a search online as well as ask people who have been to the destination about “secret” destinations at the locale, specifically either swimming holes, hidden beaches or dramatic overlooks that are not full of people. Back when we lived in Arizona, Baja beckoned as its vast emptiness was only a 3 hour drive from Phoenix (call to adventure) and in my research I had stumbled upon a secret swimming hole and camping spot oddly positioned dozens of miles out into the desert. It was a bartender in San Felipe, Mexico that originally told us about it in secretive tones (assistance). A month later we drove across the Arizona - Mexico border at Yuma (departure) and immediately our senses were overwhelmed with new sights, sounds and smells. In the border town of Los Algodones the most noticeable details were the innumerable scraps of garbage flapping in the breeze and the cute barefoot children shouting for our attention as they hawked gum and tissues anytime we stopped for a streetlight. Open air taco stands emanated blue smoke and the aromas of cilantro, onion and grilled carne asada. We exited the town to a new pattern of emanations: patches of arid desert and the dry smell of sage and dust, contrasting with blooms of humidity near stream fed cotton fields redolent of damp earth and clay. For the next 20 miles we traversed the dying entrails of the Colorado river feeding the farms serving the maquiladoras lining the border. Eventually we passed out of the farmland into the moonscape of the Baja peninsula, traversing switchbacks up into stunted outcrops of twisted rock, aprons filled with smooth white sand. After climbing the cordon of foothills guarding the peninsula we descended to a 100 mile stretch of dead straight tarmac across the salt flats - remnants of the tidal swings of the Sea of Cortez. Visibility was probably 50 miles in the desert air. With no other vehicles in sight, we set the convertible's cruise control at 105mph and, watching the sun start to sink to our right over the rising ramparts of San Pedro mountains, we flew south on eagle's wings. 30 miles from San Felipe was the crossroads I had read about in advance - a paved road heading inland and climbing across the cordillera of the Sierra San Pedro before descending to the Pacific ocean. We turned right and headed inland for twenty miles before the key decision point from my research: "as the road bends north there will be a number of sand roads heading towards El Diablo - the tallest peak - choose one and just keep heading west." We were in a low slung BMW, and we were worried about bogging down, but my source had assured me, "this is a salt flat - most of the way will be like a highway until the final wadis and streams near El Diablo". We headed west on a parallel set of sand tracks. El Diablo, a 10,000 foot peak rising straight out of the sea level salt flats, grew with each passing mile. Soon we entered a 10 mile section of salt flats. To the left and right it stretched for dozens of miles but straight ahead, the "devil peak" grew ever larger and darker as the sun began to sink behind it. On the salt flat I let the straight six of the BMW roar and decided to see how fast we could go, hitting 110, 115, 120, 125mph before letting out the clutch and coasting towards the encroaching greenery as we entered the shadow of El Diablo. My directions, scoured online from several sources, suggested we would skirt a horse farm before hitting the boulder strewn foothills at the base of El Diablo. There were dozens of forks in the road and we ended up circling for a while (trials) and getting nervous as the sun continued to set but after trial and error I found another fairly light set of tracks heading west and we followed them. True to the guidance, we passed a crumbling horse ranch and stable, and then finally started gaining a bit of elevation as we neared the foot of the peak (approach). Soon the sand lanes converged, and we entered a copse of trees in a circular space with no exit without 4 wheel drive. We had arrived. We were speechless with excitement. Above us reared a mountain that went from scorched desert to snow capped tips nearly straight up. Out of its maw was a "river" which, at this time of year, was a small trickle of a stream. As we were to discover later, in a desert with no sources of water, this trickle was a main artery for life of all sizes and kinds. We layered ourselves with sleeping bags and pads, food and wine, and hiked 1/4 mile into the ravine where the mountain formed a cleft protecting its water source. Soon we could see it, hear it and smell it - sudden humidity in the dry desert air. Then, there it was: pools of crystal clear water flowing down from on high and heading out to dissipate in the salt and sand. We climbed onto a giant - and I do mean giant - boulder perhaps 15 feet high, 30 feet long and 20 feet wide. It was smooth granite with a flat top and provided a space to sleep and light a fire. There was only one fairly difficult route onto its surface so we felt safe from predators. We did not bring a tent - this was part of the magic of desert camping - no rain and no dew. The air was cooling quickly but our boulder radiated the heat of the day to warm us even as the sun disappeared behind El Diablo. We sat and watched the desert and salt flats light up yellow then orange from the shade of our perch. We were safe and warm, dozens of miles from the next human being, but not, as it turns out, from other living things. After dark we lit a fire and made dinner. Then we stretched out on our sleeping bags on the smooth granite as our fire died. There was no moon yet. The Milky Way emerged so brightly that we noticed we were casting shadows from the stars. We watched satellite after satellite traverse the skies and then a meteor shower so bright we could see the smoke trails behind the burning meteorites in the deep black sky. We then fell asleep. An hour or two later we met our first wet sticky thing. It was a frog. A tree frog. On my face. My fiancé screamed, "what is it….?? (trials) Oh Its a cute frog… oh, there are lots of them…" Over the next 15 minutes several hundred sticky wet green and yellow-eyed tree frogs hopped across our campsite, traversing our boulder lair in the sky to ponds or trees unknown. One of them, sadly, landed in a mostly empty wine glass and we discovered his drunken cadaver the next morning. We were later reminded of him by his red police chalk outline at home as we loaded the dishwasher. An hour passed and then a new intrusion waking us up (trials): cattle. A whole herd. With bells on. They came to drink at the clear font at the base of our boulder and then continued their starlight trek south. They stayed, noisily, for an hour. More sleep and then another interruption: another set of strange sounds but this time familiar: the sound of horsemen straight out of the movies. Lots of them. Now we were scared. Bandits? (trials) In the dark, 3 dozen horses suddenly appeared surrounding us at about 3 am. But there were no saddles and no riders. Just a band of wild horses there to drink. Another hour, and they clopped their way over the rocks and past us, straight up the mountain to places unknown. We slept uneasily for a bit until my fiancé screamed again (trials). She was sitting up, eyes wide, and pointing. With the flashlight I found the 8 inch long "stick bug" that had alighted on her arm in the dark. I was transfixed. She transferred him to me and I was fascinated - I had always wanted to see one of these strange creatures and here he was, just lounging on my arm looking exactly like a twig, but moving with robotic movements across my wrist. I let him go and we laid back down wondering what was next. No more intruders woke us, and we slept well into the burning rays of the dawn until the desert sun heat started becoming uncomfortable. We rose, stretched, packed and climbed down to the car, loading everything swiftly and then driving the narrow track back past the horse farm and onto the salt flats. I was feeling cocky and let the engine roar again. We approached 100, 110 mph before an intuition caused me to slow… too late - a Wadi (creek) stretched before us and even after locking up the brakes, the BMW bounced down and then back up the cut in the salt flats at 50mph. We were thrown against our seat belts as we bottomed out, and as we emerged onto the salt flat the sound of the engine changed and the temperature gauge immediately began to rise as smoke started from the engine. I knew something was terribly wrong and stopped and jumped out of the car to witness all of the remaining motor oil in the engine block gushing out onto the dry salt. Peering underneath there was a baseball sized hole in the aluminum oil tank punched through like tin foil from a rock in the Wadi. We grabbed our remaining water (slightly less than 1 gallon), and began walking, knowing full well that San Felipe was about 60 miles away and that the nearest paved road was about 11 miles further, and that it was 11am and already 100+ degrees. (Crisis) We walked. We talked… for a little and then got quiet. About an hour later we noticed the wake of vultures that had started circling us (real name for a group of vultures). I thought it was circumstantial, but after another hour the initial 2 or 3 became more like 15 and stayed directly overhead – it stopped being funny. I cursed them. Our hope lay in the possibility of hitchhiking for the highway, but there was no rest from the burning sun. The heat was unbearable with absolutely no shade. We finished our water within two hours. Thoughts turned to returning to the car to wait until night or me running ahead to try to find help. We were beyond terrified that we could die out there and I was feeling guilt and terror that I might have killed us both. Then suddenly… in the distance we saw it. Two dust devils, contrails of sand wisping vertically out on the salt flat and then, the faint sound of motors. Like a mirage, two motorbikes appeared in the distance across the salt flat out of nowhere. They sped directly toward us. They were naturally curious as to our situation. "If you don’t mind me asking, why are you walking through the desert in over 100 degree temperatures?" They asked. We shared our story empty water jug in hand. They conferred, and then shared some water, then they saddled us on their bikes, turned around and rode the 6 miles back to our car. They conferred again, and then pulled out some tubes of "liquid steel" goo, mashed two packs of it together, and slid under the car. They patched the hole with the clay-like silver material and then gave us the 2 quarts of oil they were carrying. (treasure) Our relief was palpable. "Let it cure for an hour. It should get you to San Felipe - you can get it fixed there. Here’s some more water." Our good fortune and gratefulness was lost in their smiles and the willful adventure calling them forward - they sped off in the desert in a trail of dust. An hour later we started the car, peering under the chassis to determine that the patch was holding. It held. We drove, slowly, with only two quarts in an engine that holds six. 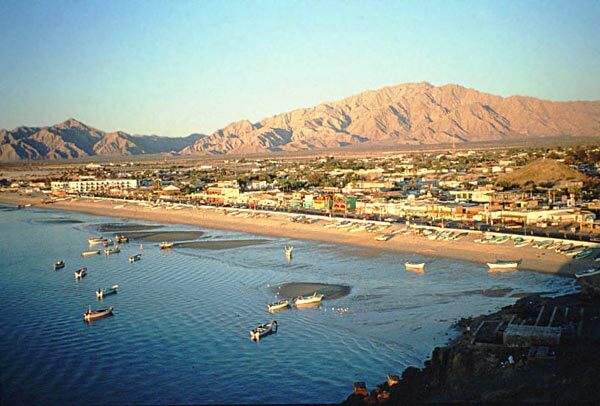 We drove slowly and made it to San Felipe without overheating (results) . We bought more oil and inquired about repairs. 7 days for the part they said, another day to do the repair. That wasn't going to work, so we spent a day at the beach and an evening on the town, reveling in our good fortune. The following day we drove all the way home at 45mph… 7.5 hours to Phoenix on a drive that normally took 5, with a band-aid of liquid steel holding our oil pan together but made it without event (return). Home at last we began to unpack and re-discovered the outline of the upside down drunken frog in one of our wine glasses. We marveled about that trip for years and wanted to recreate it, (new life) but our next visit found us barred by the Mexican military as the area had started to become a drug trafficking center (result). I suppose it was for the best - any return would only have diminished the magic of that starry starry night, casting shadows from the stars.